Australia's top ten destinations to experience for 2014 have been announced following a national consumer poll conducted by leading travel experience provider Experience Oz. 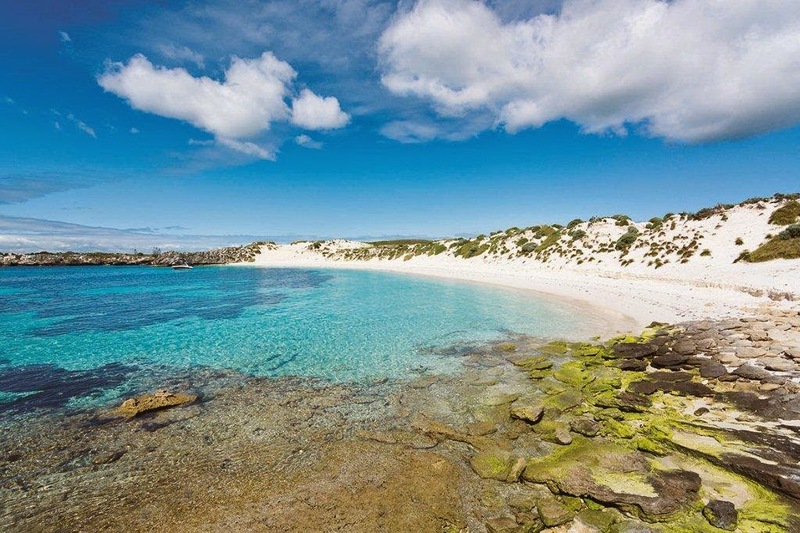 The national poll, now in its second year, revealed Western Australia's spectacular Rottnest Island as the number one destination to experience in Australia for 2014, closely followed by last year's winner, Queensland's stunning Whitsundays, again ranking highly in the #2 position, while WA's Margaret River was recognised in third place. The top ten destinations also included QLD's Gold Coast, NT's Uluru / Ayers Rock, QLD's Cairns, QLD's Sunshine Coast, SA's Barossa Valley, WA's Ningaloo Reef and SA's Kangaroo Island from a shortlist of 30 iconic destinations. Rottnest Island Authority CEO Paolo Amaranti said they are thrilled to have received the coveted number one position in the poll. "Rottnest Island is excited to have been voted the top Experience Oz destination by so many fans. We are working hard to ensure the Island's naturally outstanding beauty is kept at its best all year round and welcome visitors from home and overseas to join the happiest animals on earth – our quirky quokkas in the world's most distinctive Island paradise." In conducting the survey, Experience Oz received just under 2000 votes, with a number of regional tourism offices getting their local communities involved to vote. Rottnest Island Chamber of Commerce Chairman Michael Sier said he looks forward to welcoming visitors to experience the Island. "The Island's business community is delighted and we look forward to even greater visitor experience as the RIA's 20-year vision rolls out, offering world-class accommodation options so more people can enjoy the pristine beauty of Rottnest and its cultural heritage." During the poll, participants were asked to consider among other factors, the overall 'Aussie nature' of the destination, the variety of experiences on offer, the destination's unique geographical features, attractions and activities, and culture or history in or around the destination. The initial shortlist of 30 Australian destinations featured the best cities, regions and hot spots including Adelaide, Launceston, Blue Mountains, Broome, Port Arthur, Port Douglas, Cradle Coast, Great Ocean Road and Kakadu. Experience Oz Digital Marketing Manager Matt Hobbs said 'Australia's Top Ten Destinations to Experience' national consumer poll is a great opportunity to identify the best destinations in Australia for the local, regional and domestic tourism market to experience, and he hopes it will inspire people to do just that. "This year's list would make a great bucket list of places to experience in Australia," he said. "There are a significant number of destinations nominated that are considered natural icons, have a wide array of activities available to experience and unique geographical features. "While in a way it's surprising that iconic destinations such as Sydney, Melbourne and Perth did not make the list, the poll has indicated that a number of Aussies have already experienced these capital cities and are looking towards more regional, escapist destinations to experience this year. "Australia is the land of the green behind the gold and we want to show people that they don't need a huge budget to enjoy what our country has to offer. We have thousands of experiences available for people to browse through from all walks of life. We want to encourage people to step outside their region and explore these beautiful destinations." Experience Oz offers a comprehensive catalogue of tours, attractions and activities with no booking or credit card fees and unbiased reviews all on a secure online booking site. Over 3000 products including theme park tickets, attraction tickets, day tours, hot air ballooning, jet boating, whale watching and great dinner and show packages are all on offer at Experience Oz with customers able to skip the queues at most attractions and save valuable holiday time. It doesn't matter where you go, travelling with kids is always an adventure. Planning is key to make sure your journey runs as smoothly as possible, especially if you're going overseas. If things take an unexpected turn, keeping your kids, yourself and your belongings safe (that includes precious little teddy) is crucial. 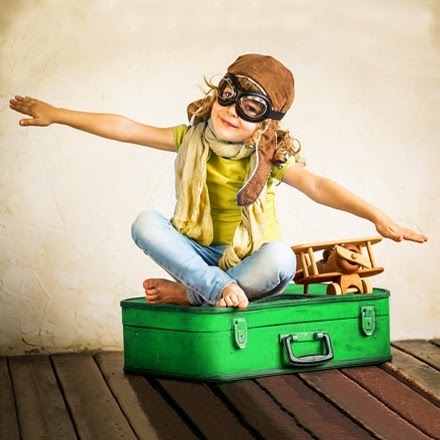 Here at 1Cover Travel Insurance we understand what it's like to contend with all the possibilities of travelling with kids so our team have shared their top tips to keep everyone happy and safe on a plane. 1. Fly Direct Or Stop Over. Breaking up the trip can be a great way to get two holidays in one go. However it's all about timing, a short 12 hour stopover can work if you book a hotel day room at an Airport hotel to help with jet lag. Hong Kong has a great hotel within the terminal, Singapore also has sleep rooms that can hired. Plus because Singapore Airport is quick to exit you'll be able to find good hotels within 15 minutes of the Airport. Dubai after a long flight is also great for a stopover. 2. Airports Are Exciting - Get Those Window Seats! Kids generally love airplanes, plus all the sights, sounds and smells of the airport. My son loves watching the wings going up and down, the baggage getting loaded and all the other planes moving around. If you have two kids, and there are four of you in total it's best to travel in two rows so both of the kids get a window seat, saves all the screaming and arguing mid-flight! There is a great research tool called SeatGuru, where you can see the Airline seat map of your flight prior to check in - it rates good and bad seats. Check out the Airline inflight entertainment guides ahead of time. It'll be exciting for the kids. Several of the Airlines have a parents/kids setting to ensure they don't watch anything inappropriate. Check out the guides here for Emirates, Qantas, Etihad, Singapore Airlines and Virgin Australia. Also we all know the kids love their gadgets whether phones or iPads. It goes without saying load them up with anything from Peppa Pig, Adventure Time, Toy Story or download kids Apps to keep the kids busy. 4. Order The Kids Meals Ahead Of Time. Sounds obvious, but many people forget to order the kids meals ahead of time. The last thing you want is junior complaining about an adult meal and being hungry the whole flight. The other great benefit of kids meals is they are normally brought first out, meaning they eat first and you can relax with wine and a movie... hopefully. 5. Get A Seat Near The Exit Rows - Make A Camp. Now this could work either way. Sometimes being near the exit also means being near the toilet, which we all know is horrible as people queue near your seat and the odour is well, not nice. However our last flight back from Singapore, our daughter found space on the floor and two other children the same age, they chatted and played in a little 'camp' in the space for several hours. Pure bliss for us, plus she was happy as she made some new friends. 6. The Customs Queue - Be Nice & Ask. You're shattered after a long flight, you land and see a huge line for customs... it's not the best feeling! The US is notoriously slow (get ready for photos and fingerprinting) and Sydney Airport can be really busy for early morning flights. Sydney to its credit is getting better with its self-service lines now available. However if you're stuck in a nightmare line, it doesn’t hurt to ask Customs if they can help express you to the front. You might not get anywhere but there's no harm in asking, you might even find an understanding Custom Officer who's also a parent. 7. 'Hunt The Bag' Game. When everyone is tired and grumpy after 20 hours of flying it's the perfect moment to keep them going one last time. Play 'Hunt The Bag' as 500 identical looking bags make their way on to the Carousel! You can also try the car game Spotto (whenever you spot a certain coloured car you shout Spotto) but for luggage. Extra points for spotting red and yellow cases. Hopefully the kids are distracted and more importantly your baggage arrives and hasn't gone missing! Looking to spend your well-earned dollar or rial? Head to your local souq in Oman! However, keep in mind each region or village offers its own unique specialties, working hours and even days of the week.